If you have been charged by the police with a criminal offence, you will need good quality legal advice from the start. For a fixed fee of £68, We Talk Law can help you understand your charge and how to handle the next steps. You can contact us at any stage of the process. By seeking quality legal advice from the knowledgeable and sympathetic legal team at We Talk Law early on, you may be able to reduce the severity of a charge or even avoid a criminal conviction. The penalty for speeding is a fine of up to £2,500. You can also receive 3 to 6 penalty points on your driver’s licence. More than 6 points could lead to disqualification from driving for a period of 56 days or more. Most speeding cases start in the Magistrates Court. If you are caught speeding, you may have some defence or be able to offer legally acceptable mitigation which could help reduce a sentence. It is highly advisable to seek advice from a practising Criminal Law solicitor. Contact We Talk Law on 0203 002 4898 for a free initial assessment. Theft covers the following scenarios: hiding someone’s personal belongings; stealing from someone’s bag, coat, pockets or locker; ‘borrowing’ something and not giving it back; snatching items (taking something without threat or force but quickly) from people; or demanding money; and robbery, excluding or including physical assault. If you’ve been charged with theft, call us on 0203 002 4898 and a practising lawyer will call you back for a fixed fee. Contact We Talk Law on 0203 002 4898 for a free initial assessment. A person’s right to liberty is carefully protected under the law. The police and certain other organisations have the authorisation to arrest people, based on strict guidelines which they must observe. If they breach these guidelines, and you are falsely arrested, this is called wrongful arrest, which, if proven with a wrongful arrest claim, may entitle you to compensation. Police harassment could be considered as wrongful arrest. If you’ve been falsely arrested, our lawyers will assess your case and advise you on the next steps to resolve your problem. Contact We Talk Law on 0203 002 4898 for a free initial assessment. We Talk Law’s team of practising lawyers includes specialists in UK legislation which protects the rights of children. They will advise you on crime involving children over the phone for a fixed fee. The areas we can advise you on if charged include; sexual offences; emotional abuse in children; care proceedings involving criminal prosecution; physical violence charges; abuse and neglect charges; and financial crimes against or involving children. If charges are proven according to the Law, it can lead to imprisonment so there is usually a court case to examine the evidence to assess the guilt or innocence of the person charged. Seek advice early on. Talk to one of our legal consultants for an initial free assessment. Contact We Talk Law on 0203 002 4898 for a free initial assessment. When you call us, please have your charge sheet or summons to hand as we will need to know the details of the offence. Read more about preparing for a call to We Talk Law. Domestic violence encompasses verbal abuse, physical assault, emotional manipulation, and financial control and has a devastating effect on people irrespective of income, gender, colour or sexual orientation. Male and female victims of domestic violence are protected by law. If you are experiencing domestic violence or you are concerned for your safety, or the safety of your children, We Talk Law’s team of practising lawyers help you deal with the problem by recommending fast, effective legal steps to protect you. This could mean issuing an injunction to stop someone threatening or hurting you or so that they leave the property you live in. If you are in immediate danger then you should always call the police for urgent assistance. 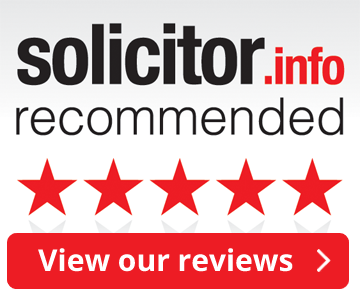 Contact We Talk Law on 0203 002 4898 for a free initial assessment. Under the Animal Welfare Act 2006, it is an offence to cause unnecessary suffering to an animal and for an owner not to do all that is reasonable to provide for the animal’s welfare. Animal owners must ensure that their animals are provided with: a suitable environment; a suitable diet; to be able to behave normally; to have appropriate housing; and to be protected from pain, suffering, injury and disease. You can now only lawfully buy an animal if you are 16 years of age and younger owners must have a parent or guardian responsible for the animal. Animal testing is strictly regulated. If you do not comply with the Law, you may be subject to an improvement notice, the animal may be seized or you may be prosecuted. Offenders can be banned from owning animals for anything up to and including life, fined up to £20,000 and or sent to prison for up to 51 weeks. Contact We Talk Law on 0203 002 4898 for a free initial assessment. Call us on 0203 002 4898 for a free assessment. If we can help, a practising Criminal Law solicitor will call you back with legal advice for a fixed fee of £68.